802.11 is a family of wireless standards created by the Institute of Electrical and Electronics Engineers (IEEE). 802.11n is the older version of Wi-Fi, launched in 2009. It improved over previous versions of Wi-Fi with multiple radios, advanced transmit and receive techniques, and the option to use 5 GHz spectrum—all of which translate to a data rate of up to 600 Mbps. 802.11ac, introduced in 2014, is the latest generation. It adds wider channels and the ability to utilize up to eight data streams (“spatial streams”) with downlink using multi-user multiple input, multiple output (MU-MIMO) techniques for simultaneous transmission on up to four devices. These are changes over the previous standard that yield a maximum data rate of more than 3 Gbps, and even higher in the future. It also operates exclusively in the cleaner, capacity-rich 5 GHz frequency band. Older 802.11n technology is now widely deployed, and still does a good job for many applications. But if you’re deploying wireless infrastructure today, especially in a new, “green field” deployment, 802.11ac is the way to go. You might have heard some grumbling about real-world 802.11ac throughput gains not living up to expectations. And that was sometimes true for early products. But the second generation of 802.11ac—known as “Wave 2”—delivers major advantages over 802.11n, with room to grow. To get the most from 802.11ac, however, you need solutions built with solid wireless fundamentals, thoughtful radio design and very good antennas. 802.11ac Wave 2 is the newest version of the newest Wi-Fi standard. It builds on first-generation 802.11ac technology by delivering faster data rates and the ability to communicate with four different clients simultaneously, instead of one at a time. Since rolling out in 2015, 802.11ac Wave 2 has become the Wi-Fi technology of choice, seeing double-digit growth in its first two years after launch. 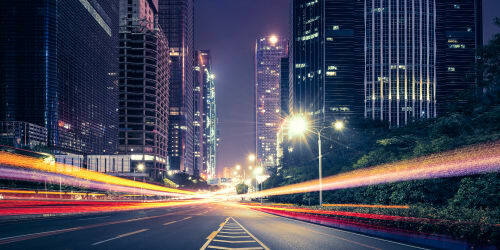 With wireless speeds as fast or faster than wired networks, many businesses now use it as the primary way to connect to the LAN. 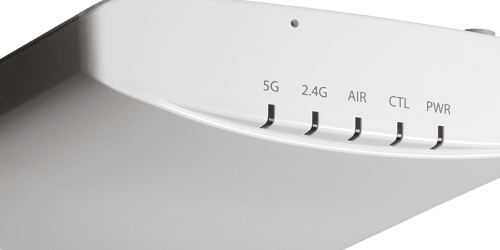 Ruckus got in early on the 802.11ac game, offering one of the leading Wave 2 access points and the industry’s first commercially available Wave 2 outdoor access point. Today, we offer one of the largest Wave 2 portfolios on the market. By combining Wave 2 capacity with our technology breakthroughs in Smart Wi-Fi intelligence and antenna design, we’re making the dream of super-fast 802.11ac a reality in thousands of locations worldwide. Ever been in a conference room and noticed your wireless device isn’t performing as it should? This happens in mixed environments where some devices are using older wireless technologies, or when some clients are much farther away than others. Like a teacher doling out snacks, access points share their capacity equally, giving each device its turn to download the same number of packets. If your colleague’s ancient laptop, or a tablet connected down the hall, takes a lot longer to download them, you’ll feel that delay—and so will everyone else connected to that AP. Instead, airtime fairness gives every device the same transmission time, no matter how many packets they receive. So older or more distant clients don’t slow everyone else down, and your network gains capacity. Band steering is a technology that encourages WLAN clients to connect over one frequency band versus another. Most modern wireless networks can use both the 2.4 GHz and 5 GHz bands. But 2.4 GHz is much more congested—both with older wireless clients, and things like cordless phones and Bluetooth devices that generate interference. For devices with “dual-band” capability, connecting over 5 GHz is usually the better choice. With band steering, the wireless system monitors all clients in the environment, keeping track of whether they’re single-band or dual-band, and which types of APs are in their proximity. When a dual-band device tries to connect over 2.4 GHz, the AP steers it towards the cleaner, higher-capacity 5 GHz frequency band instead. Users on the 2.4 GHz band win too, because they’re now sharing that spectrum with fewer devices. Smart, compact adaptive antenna systems containing multiple elements that electrically manipulate antenna properties so as to create optimal antenna patterns for each device with which they communicate. Traditional wireless antennas are either “omnidirectional” (radiating signals in all directions) or “directional” (radiating signals in one direction). Ruckus BeamFlex Adaptive Antenna Technology takes a more adaptable approach. BeamFlex technology enables the antenna system within a Ruckus AP to continually sense and optimize for its environment. BeamFlex+ is an enhancement to Ruckus BeamFlex adaptive antenna technology by providing adaptive support to mobile devices. BeamFlex+ enables antennas to adapt to client device orientation in addition to client device location. Beamforming is a technique APs use to focus their radio signals in the direction of the clients they’re communicating with to gain better capacity and throughput. And while “beamforming” and Ruckus’ “Beamflex” technology sound similar, they’re not the same thing! When most technology vendors talk about beamforming, they mean “transmit beamforming,” (TxBF), which is achieved through signal processing built into the AP’s chip. In contrast, Ruckus’ Beamflex+ technology focuses radio signals using smart adaptive antennas. Beamflex+ is not part of the industry-standard chip. We add this capability—which works at the antenna-level—and we’re the only vendor that has successfully implemented it. When APs target their signals directly to clients, the signal is stronger (better throughput), and the overall airspace is cleaner (less interference from signals bouncing all over the place). So we can all agree that beamforming is a good thing. But some vendors claim TxBF is all you need. That’s not quite true. Transmit beamforming requires feedback from the client—which means devices have to support the TxBF protocol to benefit from it, and many don’t. Transmitters using TxBF also can’t use spatial multiplexing at the same time (another technique that’s widely used to get more capacity in the same airspace). With Ruckus’ revolutionary BeamFlex and BeamFlex+ Adaptive Antenna technology, you can provide benefits for all clients. So your RF spectrum stays much cleaner, and your network delivers better throughput and reliability. Want to use both? You can: BeamFlex and BeamFlex+ technologies add benefit on top of whatever beamforming technology may be implemented in the chip. The control bridge and a port extender are the building blocks of a Campus Fabric. The traditional aggregation/core layer is replaced by switches that act as the control bridge which is the brain of the complete Campus Fabric technology. The access layer is replaced by switches that operate in port extender mode; these switches provide connectivity to PCs, laptops, IP phones, and other access devices. The control bridge communicates with the attached port extender devices using protocols defined in the IEEE 802.1BR standards. Traditional access networks are highly inefficient and rigid, requiring network teams to connect to each individual network devices to provision resources, apply configuration changes, and deploy network policies. In computer networking, a digital certificate is a document installed on a device that provides the basis for authenticating the device onto the network. Certificate management is the process of managing these digital certificates. This includes processes such as creation, storage, distribution, suspension and revocation. Certificate authorities (CA) are responsible for certificate management and serve as a registration authority for subscriber certificates. Digital certificates installed on the device as part of an automated network onboarding process streamline network authentication and make sure that every connection is secure. Users who have installed a certificate on their device during initial onboarding no longer have to take any action to re-authenticate on future connection attempts—the device connects automatically in a process that is transparent to the user. The certificate persists on the device until revoked by IT administrators. Default methods of network onboarding and authentication, such as conventional pre-shared keys and MAC authentication, do not provide the security or user experience benefits of digital certificates distributed via a secure onboarding platform. Most modern WLAN products can change a client’s channel when the one it’s using gets clogged with interference or too many devices. But there’s no point in switching channels unless you know the new one will actually provide more capacity. And most channel management strategies don’t do a great job of predicting. ChannelFly technology assesses all available channels to measure the real-world capacity improvement each one can provide before it directs the AP to switch channels. ChannelFly technology was originally developed for use in carrier Wi-Fi environments, where channels are highly congested. Even in these dense public settings, it delivers multi-fold improvements in AP and network capacity—within seconds, automatically. With client load balancing, a WLAN distributes new connections across multiple APs in order to make the best use of the network and radio spectrum. When too many clients connect to a single AP, there’s less capacity available for each device, and poorer performance. But in many environments, a client can connect to any of several APs. Ruckus APs and ZoneDirector software track every client in the environment and distribute connections more evenly, while making sure that each device has a strong signal. So your WLANs make better use of their capacity, and users get better throughput and quality. Client roaming allows wireless devices to switch from one AP to another more quickly and intelligently as they move through a space. This is especially important for latency- and quality-of-service (QoS)-sensitive applications like voice and video, where sticking too long with an AP as you move away from it will degrade performance. If you’re using a mobile device, you’re likely to be, well, mobile. Which means your experience will suffer if your device doesn’t know when to switch from the AP you connected with when you walked in the door to the one across the convention hall where you are now. Unfortunately, many devices get “stuck” to their previous AP for too long. This is especially problematic for voice and video applications, and a major source of frustration in high-density environments. With Ruckus SmartRoam+ technology, you can force clients to switch to a new AP when their signal gets too weak. Your users get better roaming. And, even more important in dense public venues, you won’t waste network capacity communicating with too many devices over slower, weaker connections. Dynamic Pre-Shared Key (DPSK) is a Ruckus-patented technology that delivers secure network access by providing each device and user with a unique login credential. Users access the wireless network using their own personal key, which is provided as part of the network onboarding process. In contrast, with conventional pre-shared keys (PSKs), multiple, or even all, users share the same key. Traditional pre-shared keys create a security hole in network defenses because multiple users access the network with the same key. Conventional PSKs do not give IT teams visibility and control over devices on the network or the ability to map access policies to specific users and devices. Users readily share conventional PSKs with others, and IT cannot revoke them for one user without revoking access for all. DPSKs address the security flaws of conventional PSKs to make users, devices, data and the network more secure. DPSKs are an alternative to digital certificates that provide similar security benefits. They are appropriate in cases where user experience considerations make it impractical to install a digital certificate on the device. This applies in cases where the user will only need network access for a limited time—for example, in the case of guest users. Footfall analytics is a way to use the wireless network in a public venue (especially a retail store) to gain deep insight into how customers behave in a physical space. While online is a big part of modern retail business, physical stores still play a huge role in the shopping experience. Now, retailers around the world are using location analytics to bring the same kind of personalized, highly targeted shopping intelligence you see online to their brick-and-mortar stores. Location analytics solutions like Ruckus Smart Positioning Technology (SPoT) can show retailers exactly how customers are using a space. They can see in-store traffic patterns, identify the best locations for products down to the shelf level, optimize store layouts to increase sales and time spent in the venue, and much more. Hotspot 2.0 makes Wi-Fi roaming as seamless as cell phone roaming. Just as your cell phone automatically finds a roaming partner network and securely connects no matter where you travel, users can get the same experience over Wi-Fi. Wireless providers—cable or mobile providers, enterprises, and others—join roaming partnerships with other providers. Users’ devices are loaded with the right credentials and security certificates. Then, anytime a user is away from her home network provider, her device automatically checks for Hotspot 2.0-capable APs with participating roaming partners. If one is available, she can connect automatically, without doing a thing. The direct benefit is the ability to monitor and control these IoT devices from anywhere in the world. IoT devices can collect data, which can be used to enhance user experiences, improve organizational efficiency or reduce organizational costs. IoT can also enable organizations to offer new services along with their existing products. For instance, smart locks can enhance the security for a home owner or a guest at a hotel. Intelligent lighting controls can reduce energy usage. Additionally, connected trash cans can inform a waste management company when it is full and thus require a collection process. An An IoT access network connects both Wi-Fi and non-Wi-Fi IoT endpoints over a converged, multi-standards physical network. Such a network unifies and reuses the same device onboarding, security and management infrastructure of an existing wired and wireless network to reduce costs thus enabling organizations to more quickly realize benefits from IoT endpoints and services. You’re not crazy if you think that wireless networks should be… wireless. But in traditional WLANs, you still have to run cables to each AP. In mesh networks, individual APs connect with each other wirelessly. Who wouldn’t want to eliminate the need for expensive Ethernet cabling across their facilities? But making mesh networks work in enterprises is easier said than done. Traditionally, it’s required a lot of complex configuration, and it’s been hard to assure consistent, reliable connectivity. With Ruckus SmartMesh Networking technology, we’ve made mesh networks enterprise-grade. Instead of navigating complex configurations for each AP, just check a box. The mesh forms automatically. And with our BeamFlex technology, APs can dynamically change antenna patterns on a packet-by-packet basis to adapt to conditions and ensure a solid connection. Enterprises get self-forming, self-healing mesh networks at half the time and cost of traditional wireless deployments. Multi-gigabit technology and specifically the IEEE 802.3bz standard, was formally introduced as 2.5GBASE-T and 5GBASE-T in 2016. IEEE 802.3bz is a standard for Ethernet over twisted-pair copper wire at speeds of 2.5 Gbps and 5 Gbps. Gigabit connections have served us well for many years, delivering fast low-latency data to laptops, smartphones and other devices. However, the latest generation of APs can overwhelm a 1 GbE connection so that the wired network becomes a performance bottleneck. Multi-gigabit technology, which operates above 1 Gbps, supports a new data rate of 2.5 Gbps, while still leveraging commonly deployed Cat 5e cabling. Enterprises can therefore maximize the performance of their Wi-Fi networks in the most cost-effective, least disruptive manner. The Ruckus ICX Z-series switches and the Ruckus R720 access point support multi-gigabit technology / 802.3bz to help organizations maximize their Wi-Fi network performance. Network Capacity Utilization improves overall network capacity and airtime utilization with built-in adaptive client management techniques that evenly spread client load across APs and across bands to maintain optimal AP-to-client links in ultra-high dense environments. In dense networks, APs end up with uneven client load leading to inefficient utilization of overall network capacity. This leads to a sub-optimal client-to-AP link quality resulting in a lower throughput for the clients. Network Capacity Utilization employs real-time learning techniques to associate clients to APs with higher link quality and capacity in response to dynamic network loads resulting in higher overall network capacity and higher per-client throughput and a better user experience. In Ruckus Networks terminology, a SmartZone™ network controller is a physical or virtual network element used to monitor, manage and control Ruckus access points (APs) and Ruckus switches. When updated to the SmartZoneOS 5.0 release, all SmartZone WLAN controllers, e.g. SmartZone 100, Virtual SmartZone – Essentials, become SmartZone network controllers. Within the networking industry, managing a network of both APs and switches (“unified management”) has traditionally required the use of a separate network management system above and beyond the WLAN controller. A separate management system demands, at minimum, a separate software license and the need for IT staff to be trained on two different systems. The result: excess time spent, excess cost and complexity. A simpler approach to managing the network now exists. Ruckus SmartZone network controllers are the first appliances in the industry that allow IT to manage both the LAN and the WLAN using a single, controller-managed system with a single user interface. This approach simplifies a wide range of IT activities, enabling, for example, a single automated discovery process for both switches and APs and the easy creation of common access policies across switches and APs. Customers want to be able to create an OpenFlow overlay on top of existing production networks. The OpenFlow overlay would be used to support new premium services and SDN applications on top of the underlay network. With Ruckus hybrid port mode, a separate network is not needed to realize the benefits of SDN and OpenFlow. The Ruckus ICX 7250 Switch has 8 ports that can be upgraded to 10 Gbps port speed with one or more Ports on Demand (PoD) licenses. 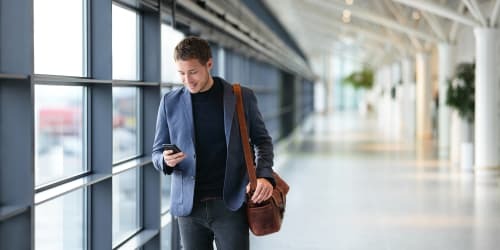 Visitors to any environment—schools, colleges, government agencies, retail, hospitality, offices or practically anywhere—arrive expecting easy and secure connectivity for their devices. Secure guest access means allowing visitors (vendors, partners, consultants—visitors of any kind) a way to securely access the internet and/or local network resources services over the wireless or wired network. When done right, guest access is a win for both the end-user and the organization providing it. Guest users are more productive when they can get online quickly and easily. 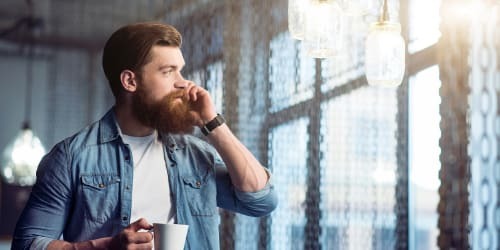 Internet connectivity helps the visitor conduct whatever business or activity brings them to your environment, which also benefits the organization. Modern guest access systems let visitors securely self-provision their devices for internet access without IT involvement, avoiding costly and labor-intensive help desk tickets. These systems let IT teams customize network onboarding workflows, which may be sponsor-initiated, sponsor-approved, or entirely self-service. Guests receive their individual login credentials via SMS, email or printed vouchers. IT teams can customize the onboarding portal so that the look and feel supports the organization’s brand. They can grant access for a specified period depending upon how long the user will remain on site. Guest users typically get internet access only—they don’t see internal network resources. IT gains visibility and control over devices on the network, with the ability to revoke access at any time. An up-front security posture check with remediation further enhances security. Network onboarding is the process by which a BYOD, guest or IT-owned device gains access to the network for the first time. Secure network onboarding means doing this in a way that enhances security for users, devices, data, and the network. BYOD and guest users often incur frustration with default methods for network onboarding. Default methods such as MAC authentications and conventional PSKs are not intuitive for users, leading to numerous help desk tickets. Default methods of onboarding and authentication are also not secure. An effective system for secure network onboarding improves end-user experience for BYOD users and guests. It relieves IT of the burden of excessive help desk tickets related to network access, and improves IT security as part of a layered protection strategy. 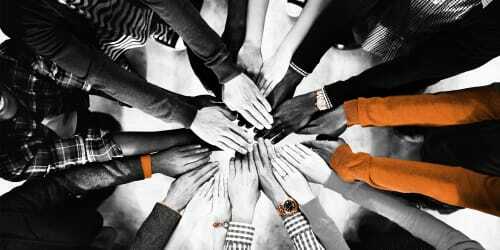 Ruckus offers Cloudpath Enrollment System software/SaaS for this purpose. sFlow is a standards-based packet sampling technology embedded into the Ruckus ICX Switches to provide network managers a scalable technique for measuring network traffic, collecting, storing, and analyzing traffic data. This enables tens of thousands of interfaces to be monitored from a single location. SmartCast is a sophisticated quality of service (QoS) engine speci! cally developed to maximize the reliability and performance of delay-sensitive applications, such as IP-based voice and video over 802.11 networks. Based on patented technology, SmartCast delivers a collection of unique capabilities — such as packet inspection, automatic traf! c classi! cation, advanced queuing and scheduling. In a dense Wi-Fi network, transient clients can degrade the user experience for already connected clients. This problem is typical in train stations, bus terminals and various public hot spot venues where thousands of devices moving through an area send management frames to an AP they don’t intend to connect with. This overwhelms the network with unnecessary traffic and thus slows down the Wi-Fi. With Transient Client Management, Ruckus APs maximize the attention towards already connected non-transient clients and utilize the airtime more efficiently. There exists an insatiable demand for faster and better Wi-Fi driven by the growth in more devices and more demanding applications. This demand exists whether we are at the office or in a densely populated area such as at an airport or a train station.